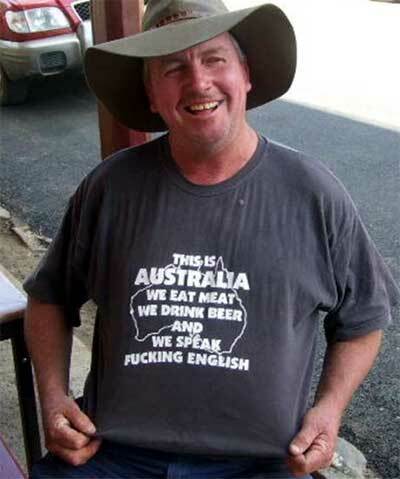 Find your favorite Australian T-shirt below and order online! You live in the tropical part of Oz? Then click here to see the range of singlets!